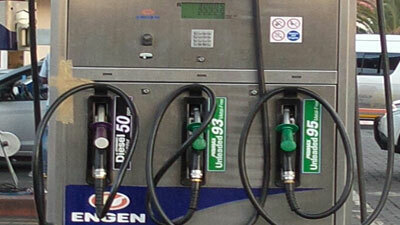 The latest fuel price hike has had commuters hoping that the announcement was an early April’s fool’s joke. But reality is sinking in as the day of the increase gets closer. Taxi drivers in Johannesburg have raised concerns on the upcoming price hike. The taxi industry is a major player in the country’s transport industry. Millions of South Africans rely on this mode of transport, but the latest fuel price hike might cause a domino-effect of price hikes, making monthly budgets for commuters vulnerable. From Wednesday April 3 drivers based in coastal provinces will pay R15,49c a litre and it will be R16,13 per litre for inland provinces. Taxi owners and drivers say this will cripple their business. They say the only option left for their survival – is to increase fare prices. Driver Mbudziseni Gelebe operates his taxi from Johannesburg to Venda. The long distance driver says there are chances he will be operating at a loss, once the increase takes effect. Petrol Must Fall Movement’s Visvin Reddy says: “If you introduce a wealth tax on monopoly industry you will be able to remove the taxes from fuel and that will immediately see a reduction of 40% in our costs and we must warn government. We are warning the ANC government that fuel prices can have a direct impact on elections. Diesel will rise by between 82 and 83 cents a litre and illuminating paraffin will climb by 63 cents per litre. LP Gas will jump to R1.71 per kilogram. The post Taxi industry reacts to fuel price hike appeared first on SABC News – Breaking news, special reports, world, business, sport coverage of all South African current events. Africa's news leader..